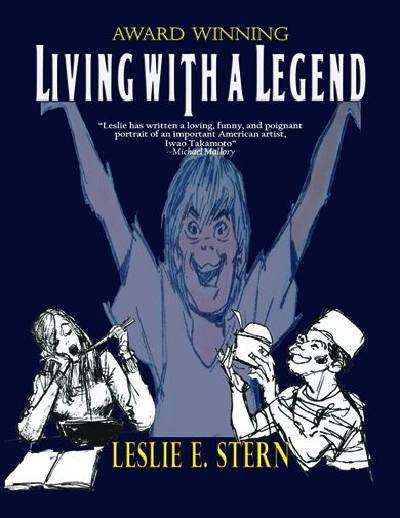 Leslie Stern's Living with a Legend offers touching and humorous personal stories about her acclaimed step-father who designed such animation masterpieces as Scooby-Doo and Lady and the Tramp. Living with a Legend is the non-fiction musings of Leslie growing up in a multi-ethnic home amidst the genius of Iwao Takamoto. It tells the story of her step-father’s influence on her life, stories of her youth with Scooby-Doo as a brother, and Iwao’s influence on others. It includes personal drawings done by Iwao for Leslie, as well as never before seen family photographs. It is filled with wonderful drawings done by other animation legends for Iwao, about Iwao, and for Leslie. A must read for any cartoon lover and a pleasure to read for anyone with a heart. “Living With A Legend is a loving, personal tribute to one of the top talents in the history of animation." --Leonard Maltin, movie reviewer, movie historian, and author.